Costa Rica has been dealing with the consequences of a Cuban migrant crisis in Latin America, which starts in Ecuador and extends throughout Central America and northern Mexico. At least 7,800 Cubans have been granted temporary visas in Costa Rica, while in Ecuador, 40,000 Cubans are estimated to be ready to start their journey north of the continent. Caritas Costa Rica has been providing food, shelter, medical care and psychosocial support for these migrants who are hoping to resume their journey to the United States. Across Colombia, Central American countries and Mexico, thousands more Cubans are on the move, benefiting from the United States Cuban Adjustment Act, which enables them to remain in the United States and obtain residency. Authorities say the sharp rise in Cubans in the region was a side effect of the dismantling of a network of traffickers and this deprived Cubans of their traditional migration routes. Then in 2015, Ecuador suspended its visa policy for Cuban citizens and Nicaragua closed its border with Costa Rica to these migrants in November. 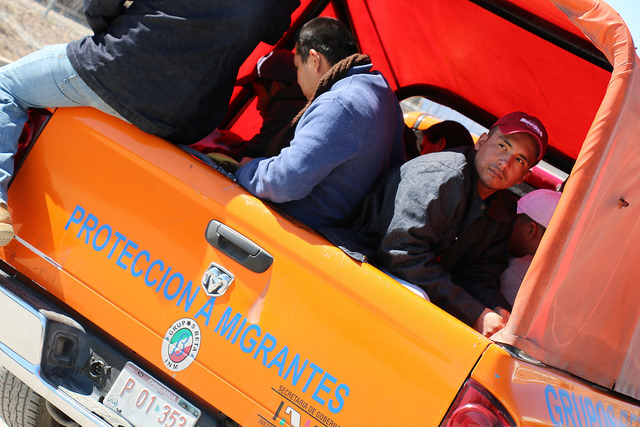 Migrants normally follow the route through Ecuador, Colombia and Panama before arriving in Costa Rica from where they continue to their destination. 20,000 Cubans have passed through Costa Rica since the upsurge of new arrivals in Ecuador. Caritas runs eight of the 39 shelters set up for the almost 6,000 Cubans who are still in the country waiting to continue their journey. They receive free hospital, medical care and counselling. Costa Rican volunteers work together with the Cubans to maintain the shelters which are designed for very short stays. Maria, a 51-year-old from Havana who travelled through Ecuador, took a motorboat to Colombia and then went to Panama, together with her husband and 19-year-old daughter. She says her treatment has been good in one of Caritas Costa Rica’s shelters. “The food is excellent, it’s very clean and we all help each other out. I feel comfortable here,” she said. Maria describes how she was treated by Colombian traffickers who swindled her, stole her money and threatened to send the migrants back. She also knew Cuban women who were sexually assaulted. She spent 4,000 dollars on her trip, but even so some days she had nothing to eat and no place to sleep or have a wash.
She’s a hairdresser. Most of the Cubans stranded in Costa Rica have a profession, and many are educated and have completed formal schooling. The Costa Rican government is afraid this humanitarian aid might create social problems. Also, the shelters are located in the poorest areas of Costa Rica and over time they might compete for resources, mainly water. Fr Edwin Aguiluz, the director of Caritas Costa Rica, pointed out that the UN World Health Organisation and other organisations, have provided assistance, albeit on a very modest scale. The International Organisation for Migration has provided support for teaching people how to build shelters, but this did not include technical assistance. This humanitarian crisis entails a latent risk. In Mexico, Caritas’s Bishop Guillermo Ortiz Mondragón of Cuautitlán said that dialogue is already in progress with the Mexican authorities regarding assistance to Cubans who are attempting to reach the border with the United States.